With Apple’s ever-turning iOS signing machine, jailbreakers are forever wondering what the best strategy is for their device. Should they stick with their jailbroken firmware or upgrade? If they’re already without a jailbreak, which iOS version do they need to be on to make sure they get one? What do they need to do to be able to upgrade from a lower jailbroken firmware? 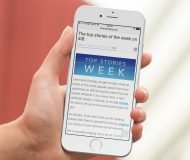 In this article, we’ll quickly go through what we consider the smartest options for each device and iOS version, so that you can make an informed decision. Please read the conclusion too, for additional tips which apply to all jailbreakers. We’ll be keeping this guide updated to reflect new iOS releases, jailbreaks, and downgrade tools. Simply go to the section for the iOS version that you currently have on your device, and find the part that refers to your device type and situation. You’ll need to know whether your device is 64-bit or 32-bit. Remember, all these are recommendations based on current information. If a jailbreak is released tomorrow or some other unlikely event occurs, some of this advice may be temporarily incorrect. I take no responsibility for events outside my control. I only give what I consider to be the best and most cautious advice based on the current reliable information available. If you can, downgrade immediately to iOS 12.1.1 beta 3. A jailbreak for iOS 12.0-12.1.2 will be released soon, but iOS 12.1.3 and higher will not be supported. You can’t downgrade to iOS 12.1.2 or lower anymore as they are unsigned. If you can’t get back to iOS 12.1.1 beta 3, then you’re out of luck. Turn off automatic updates on your device, block updates, and wait on your current firmware for a tool. Start saving blobs with TSS Saver for current and all future firmwares. Stay where you are! Do not update your firmware. A jailbreak for iOS 12.0-12.1.2 will be released soon, so wait for that. Turn off automatic updates on your device and block updates. Save blobs with TSS Saver for current and all future firmwares. There are jailbreaks for your firmware! If you’re already on iOS 11.0-11.4.1, stay there. Do not update, and save blobs with TSS Saver for current and all future firmwares. Jailbreak now with unc0ver for iOS 11.0-11.4.1, for all devices. As an extra bonus, if you saved your blobs in time for iOS 12.0-12.1.2 you can jailbreak on iOS 11.0-11.4 with unc0ver, then use futurerestore to move to iOS 12.0-12.1.2 later, once the upcoming iOS 12 jailbreak is released. If you do not like unc0ver for some reason, you can also jailbreak iOS 11.0-11.4.1 with Electra, though we recommend unc0ver due to its active support, and use of Saurik’s Substrate instead of the workaround Substitute. There are jailbreaks for your firmware! If you’re already on iOS 10.0.1-10.3.3, stay there. Do not update, and save blobs with TSS Saver immediately for current and all future firmwares. If you saved your blobs in time for iOS 12.0-12.1.2 you can jailbreak on iOS 10.0.1-10.3.3 with the tools below, then use futurerestore to move to iOS 12.0-12.1.2 later, once the upcoming iOS 12 jailbreak is released. TotallyNotSpyware. Rather than an app-based jailbreak, this is a webpage hosting both Meridian and doubleh3lix. It automatically selects which tool to jailbreak with and jailbreaks directly via the website. Check out tihmstar’s doubleh3lix jailbreak for all 10.x firmwares. A traditional jailbreak with a KPP bypass, it boasts a working Cydia and Substrate. The only downside is lack of support for chips newer than A9. That means that the iPhone 7 (Plus), iPad Pro, etc. must use one of the other options. Grab it now from the official website. You can jailbreak with Meridian, which supports all 64-bit devices on all iOS 10.x firmwares. You can use tihmstar’s h3lix tool for iOS 10.x to jailbreak your device semi-untethered. Also, as iOS 10.3.3 is the last signed version for 32-bit, you could update from iOS 10.x to iOS 10.3.3 to get the most bug fixes, and then jailbreak with h3lix there. If you have blobs for iOS 9.1-9.3.4 and prefer untethered jailbreaks, you can downgrade from iOS 10 to iOS 9.1-9.3.4, then jailbreak with Home Depot. Untether that jailbreak with UntetherHomeDepot! There are jailbreaks for your firmware! If you’re on iOS 10.0, save blobs with TSS Saver for current and all future firmwares. 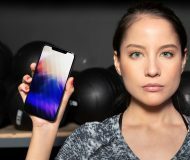 You’re out of luck; there’s no jailbreak for this firmware, and no interest in making one. Choose between waiting and hoping someone makes one, and updating to the newest firmware. If you update, turn off automatic updates on your device and block updates afterwards. Save blobs with TSS Saver for current and all future firmwares. You can jailbreak already! 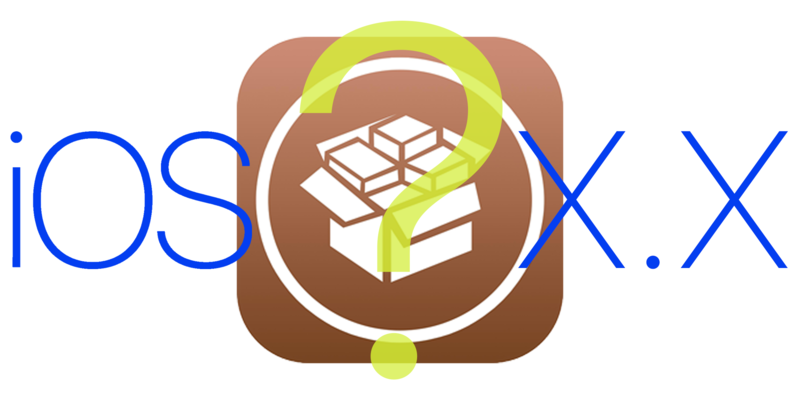 Use tihmstar and siguza’s Phœnix tool to jailbreak your device semi-untethered. Alternatively, if your device handles iOS 10 well and you want its features and fixes, upgrade to iOS 10.3.3 and jailbreak with tihmstar’s h3lix tool for iOS 10.x. If you have blobs for iOS 9.1-9.3.4 and prefer untethered jailbreaks, you can downgrade from iOS 9.3.5 to iOS 9.1-9.3.4, then jailbreak with Home Depot. Untether that jailbreak with UntetherHomeDepot! You can jailbreak already! Use Home Depot to jailbreak your device. Untether the jailbreak with UntetherHomeDepot! Alternatively, if your device handles iOS 10 well and you want its features and fixes, upgrade to iOS 10.3.3 and jailbreak with tihmstar’s h3lix tool for iOS 10.x. This is swapping an untethered jailbreak for a semi-untethered one, so consider carefully whether you want to or not. You can jailbreak with Pangu 9.2-9.3.3. If you like, you can stick on 9.2-9.3.3, live long and prosper with your jailbreak. However, if you saved your blobs in time for iOS 12.0-12.1.2, you can jailbreak on iOS 9.2-9.3.3 with Pangu, then use futurerestore to move to iOS 12.0-12.1.2 once the upcoming iOS 12 jailbreak is released. This is recommended if you have blobs and are confident in tackling futurerestore, as iOS 9 is getting a little long in the tooth. A7 devices (such as the iPhone 5s and iPad Air) can jump to iOS 10.1.1-10.3.3 using custom files with futurerestore, as detailed here, though if you have iOS 12.0-12.1.2 blobs you may prefer to just futurerestore to iOS 12.0-12.1.2, as detailed above. You can jailbreak with Pangu9. If you like, you can stick on 9.1, live long and prosper with your jailbreak. However, if you saved your blobs in time for iOS 12.0-12.1.2, you can jailbreak on iOS 9.1 with Pangu, then use futurerestore to move to iOS 12.0-12.1.2 once the upcoming iOS 12 jailbreak is released. This is recommended if you have blobs and are confident in tackling futurerestore, as iOS 9 is getting a little long in the tooth. A7 devices (such as the iPhone 5s and iPad Air) can jump to iOS 10.1.1-10.3.3 using custom files with futurerestore, as detailed here, though if you have iOS 12.0-12.1.2 blobs you may prefer to just futurerestore to iOS 12.1.2, as detailed above. You can jailbreak with Pangu9. If you like, you can stick on 9.0-9.0.2, live long and prosper with your jailbreak. However, if you saved your blobs in time for iOS 12.0-12.1.2, you can jailbreak on iOS 9.0-9.0.2 with Pangu, then use futurerestore to move to iOS 12.0-12.1.2 once the upcoming iOS 12 jailbreak is released. This is recommended if you have blobs and are confident in tackling futurerestore, as iOS 9 is getting a little long in the tooth. You can jailbreak already with Pangu9! If you want to be on the highest possible firmware that’s untetherable and you have blobs for iOS 9.1-9.3.4, you can upgrade to any of them and then jailbreak with Home Depot. Untether that jailbreak with UntetherHomeDepot! Alternatively, if your device handles iOS 10 well and you want its features and fixes, upgrade to iOS 10.3.3 and jailbreak semi-untethered with tihmstar’s h3lix tool for iOS 10.x. Jailbreak now with tihmstar’s EtasonJB for iOS 8.4.1! If you have blobs for iOS 9.0-9.3.4, you can upgrade to any of them by jailbreaking with EtasonJB and using futurerestore. 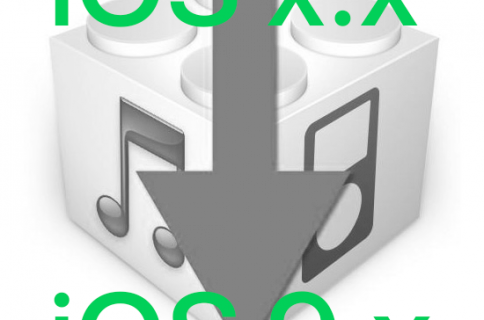 If you only have blobs for iOS 9.3.5, you can upgrade to that and use tihmstar and siguza’s Phœnix tool to jailbreak your device semi-untethered. You can jailbreak already, with various tools, depending on your firmware version. If you don’t mind the considerable compatibility problems you’ll be experiencing by now and love solid, untethered jailbreaks, stay where you are. However,if you saved blobs in time for iOS 12.0-12.1.2, you can jailbreak on your current firmware, then use futurerestore to move to iOS 12.0-12.1.2 once the upcoming iOS 12 jailbreak is released. This is recommended if you have blobs and are confident in tackling futurerestore, as iOS 8.4 and below are ancient in extremis by now. You have options. You can jailbreak already, with various tools, depending on your firmware version. Otherwise, if you have iOS 9 blobs and want to upgrade for better compatibility, you can upgrade to any iOS 9 firmware and then jailbreak with either Pangu (9.0-9.0.2), Home Depot (9.1-9.3.4), or Phœnix (9.3.5). Upgrading to Phœnix (9.3.5) will be swapping an untethered for a semi-untethered jailbreak however, so you’ll have to choose between a newer iOS with better app support and an untethered jailbreak, unless you go with 9.0-9.3.4. Apple TV 4: If you value a jailbreak over tvOS 12’s features, downgrade immediately to tvOS 10.2.2. Jailbreak there with backr00m. If you need the features from tvOS 11 and 12 then you’re out for luck. Block updates and do not update. Start saving blobs with TSS Saver. Apple TV 4K: You’re out of luck I’m afraid. Block updates and do not update. Start saving blobs with TSS Saver. Apple TV 4: Stay where you are! Block updates and wait for a possible port of the iOS 12 jailbreak to tvOS. Alternatively, if you value a current jailbreak over tvOS 12’s features and a possible future jailbreak, downgrade immediately to tvOS 10.2.2. Jailbreak there with backr00m. Apple TV 4K: Stay where you are! Block updates and wait for a possible port of the iOS 12 jailbreak to tvOS. Start saving blobs with TSS Saver. Apple TV 4: If you value a jailbreak over tvOS 11’s features, downgrade immediately to tvOS 10.2.2. Jailbreak there with backr00m. If you need the features from tvOS 11 then you’re out for luck. Block updates and do not update. Start saving blobs with TSS Saver. Apple TV 4K: You’re out of luck I’m afraid. Choose between updating to the newest firmware and staying where you are. Then block updates and wait to see what comes your way. Start saving blobs with TSS Saver. Block software updates and do not update. Save blobs with TSS Saver. Restore immediately to tvOS 10.2.2. There’s nothing you can do. You will not be supported by any upcoming jailbreak, so carry on as you were. The developer of Meridian, PsychoTea, has started preliminary work on a watchOS 3 jailbreak named OverCl0ck. There is no release estimate, no watchOS 4 support, and no promise of eventual functionality. All that is left to say is that regardless of device, current iOS version, model, or happiness with your current setup, save blobs for all iOS versions from now on. They open up more options in this guide, and they might allow you to jailbreak in the future too. Do not wait until it’s too late to find out their uses. We’ve seen futurerestore, as well as a jailbreak-less iOS 9.x downgrade tool for 32-bit and another 32-bit downgrader with Odysseus functionality. All require blobs, which people kept saying were useless. Developers of these tools have always advised you to save blobs as they can come in handy, and they’re right. For 64-bit devices, .shsh2 blobs can be saved with TSS Saver in a matter of moments. For 32-bit devices, TSS Saver can also be used. These blobs can be converted to normal .shsh blobs easily if required, and contain extra information that may be of use in future. If you want to be doubly safe and save a normal .shsh too, try savethemblobs, forget Tiny Umbrella. Remember, blobs can only be saved for an iOS version while that version is signed by Apple. You do not have to actually have your device on the iOS version to save blobs for it, it just needs to be currently signed. Get saving! That just about wraps it up. Hopefully this advice covers you (it should cover all recent situations) but if you’re on a very old firmware, or see something I haven’t addressed, send me a message in the comments below and I’ll see what I can do. Good luck! 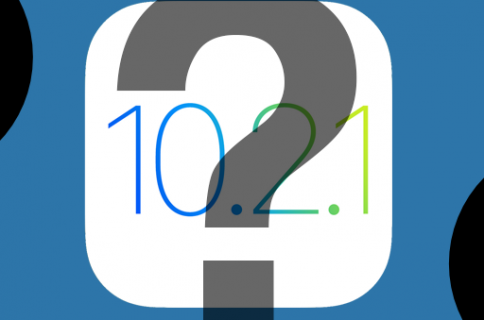 iOS 10.2.1 and jailbreaking: what are my options?